Help/Questions (Answered) > Porcelain wotzit? 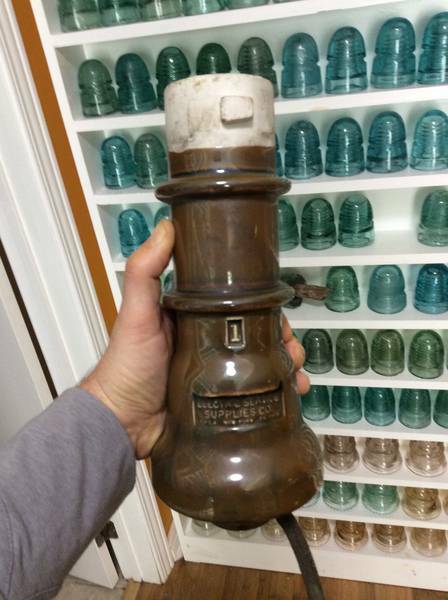 I answered my own question - it's a lighting arrester (it's just missing the cap). There's a picture of one in "old familiar strains" Dec 1999 issue (see next pic [id=546526414] ).